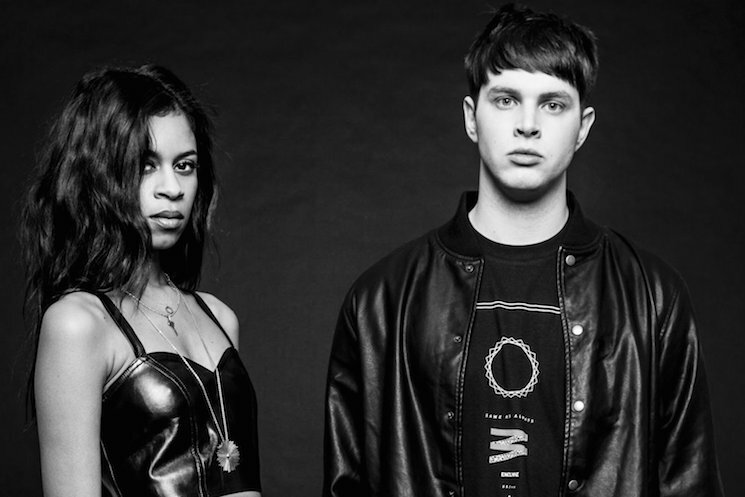 London-based electronic duo AlunaGeorge were a hotly tipped act leading up to release of their 2013 debut Body Music, but they've reached new heights thanks to a high-profile collaboration with French EDM serpent DJ Snake. Things are looking even brighter for the duo now, with a new record deal and tour on the horizon. According to a new press release, AlunaGeorge have signed with Interscope (while continuing to work with Island UK, who released Body Music). While it's unclear what they've got planned for the major label, it likely means we'll be hearing of a Body Music follow-up soon. In addition, the duo have announced plans for a North American tour. Along the way, they'll perform alongside Zedd and Todd Terje before embarking on some more intimate shows on their own. These smaller stops include performances at Vancouver's Celebrities Nightclub on October 17 and Montreal's Theatre Fairmount on October 30. The band's full tour itinerary is available below.